Sometime the idea of going from "working out" to "training" can sound a bit intimidating, as if suddenly all your time and energy will be engulfed in exercise and nutritional restriction. Plus, there's the overhanging and kind of scary deadline of the end goal - a race! The secret is that "training" is not something only elite athletes do, it's simply a way of structuring your workouts to meet a certain goal. It can keep you interested, motivated and accountable, but also be a ton of fun at the same time! Triathlon training may seem intimidating, but anyone can do it. 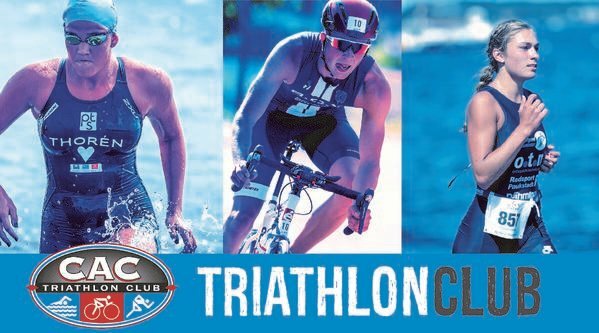 If you've ever thought about it, or started to think about it then threw the idea away, take a minute to hear what Chicago Athletic Clubs Triathlon Club head coach, Brian McClelland, has to say about the benefits of triathlon training. He answers some fundamental answers about the sport and the program, and why you should give it a tri! Get started challenging yourself! Sign up for our Indoor Triathlon here! What are the benefits of training for a triathlon? Beyond the obvious cardiovascular benefits of training for a triathlon, you also get a great strength building benefit as well. Each discipline helps build very specific upper body and lower body strength, as well as significant core strength, which you don’t always get in other forms of training. It also helps to keep training interesting. You’re always changing the type of workout, alternating sports, and have the ability to keep challenging yourself. 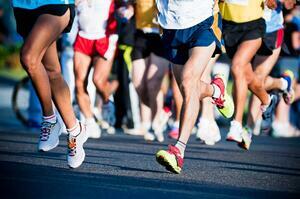 Every race is different and there are so many out there you can participate in. Best thing is that you can participate in this sport for a lifetime and compete at any age. In terms of a mental benefit, personally, I don’t think you can underestimate the feeling; the high you get when you finish a race, regardless of the distance. Also, the people you meet are the most positive people you will ever encounter. There is such a great community of triathletes, of ALL ages, out there that you can always find support, encouragement and motivation to help you along the way. What does training for a triathlon entail? This is a great, yet very loaded question! Your training will depend significantly on several factors – the distance you’re working toward, the date, the location, your skill level for each one of the disciplines, amount of time you’re able to devote to training each day/week, and your accessibility to necessary equipment just to name a few. For most new triathletes, training for a shorter race, or “Sprint” distance, is very doable, especially if you’re limited on time each week to training. 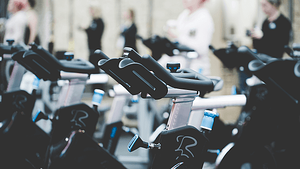 To get started, the main things you should identify are finding a pool to swim in, getting a functioning road bike (although, sometimes a hybrid bike can suffice), and getting a good pair of running shoes. Those are the basics. Your training should consist of working on each discipline a couple times a week (see below for time spent training) working on a combination of skill, strength and endurance training. I would also recommend seeking out a coach or a local spot that caters to triathletes to get more education on things such as wetsuits (when to wear and how to put on), bike fitting, hydration/nutrition, gear, bike maintenance, training plans, etc. How does triathlon training differ from other race training, like marathon or half marathon training? Training hours and program volume can be very similar to that of a training program for a marathon. The main difference is that you are doing a lot of cross training for a triathlon. A marathon training program, for example, will have you running all week long on some shorter distance runs, working on skills and strength building, then finishing the week with completing a long run – and getting progressively longer each week, with some recovery weeks added in every 3-5 weeks. With training for a triathlon, you are swimming 2-3 times per week, biking 2-3 times per week, running 2-3 times per week, and adding in some strength/core training and probably some “brick” training as well (putting two disciplines together in a workout). If you are getting coaching, your program could also depend a lot on which sport you need the most work on and therefore they may put more focus on that one compared to the other disciplines during the week. How much time do I need to spend training? For a Sprint distance, depending on your skill level, total hours training each week can range from 3 hours up to 5 hours. If you feel you need more work on a specific area (swimming, biking, or running) you should plan to devote additional training hours to build your skills, efficiency, and endurance in that area each week. As you go further in the sport, going up into the Olympic distance or even into the long course distances (Half Ironman, or 70.3 – and Ironman, or 140.6), training volume could be anywhere from 6-10 hours per week for an Olympic, up to 8-20 hours per week for the longer distances. You should also plan to spend at least 8 weeks training for a Sprint distance race, up to 26 weeks for a longer course triathlon. What if I don’t want to race, why would I train for a triathlon? Great question! For most of us, we’re not necessarily out there racing to get on a podium. Most of us are there to accomplish something for ourselves, for our family and friends, or for a cause. Mainly, we’re out there to stay healthy and to challenge ourselves with other like-minded fitness enthusiasts. Most of the time, my mentality in a race is usually “I’m here to complete, not to compete”. When I trained for my first Ironman, that was my mindset and I set my goal to just be the completion of something I never thought I could. Do your own race, whatever that is for you. Why should I try a race anyway? I would go back to the answer above and ask “what would you be racing for?”. Would it be to challenge yourself, or to prove something to yourself? Are you doing this for or with someone? Is there a cause out there you believe in that is associated with the race? Could it be a group challenge or event (or maybe even doing a relay together…another way to participate if you may not be as skilled in one of the disciplines)? Or is it just to keep yourself accountable and the goal is to just follow through on a fitness level you’re trying to work toward? If signing up for a race can help you accomplish any one of these goals, I’d say it’s a great first step! What is the benefit of being in the Triathlon Club? Accountability, social interaction, comradery, and so much more! A group/team can help hold each other accountable for sure. Many people also love the social interaction and meeting others that have the same passions and goals. I also meet people who join because they get more motivated through a club environment because they see others accomplish their goals alongside their own; like seeing a team member graduating to a new distance, or seeing someone achieve a “PR” (Personal Record). Team members can also help push each other to go harder, to go faster, to not give up. Sometimes you just need that extra nudge; that extra “keep going” from a teammate…because they want you to succeed too! If I’ve never done a triathlon before, should I sign up for the CAC Indoor Tri? Absolutely! Especially if you plan to do one in the future. Doing an Indoor Triathlon is a great first step into the sport. You’re able to engage in each discipline in a controlled environment and without a lot of logistical challenges and anxieties your first race can sometimes throw at you. These are also the equivalent of a “Super Sprint” triathlon, where the distances are very manageable but still challenging. It can give you a great sense of how it feels to go from one sport to the next, especially if you’ve never experienced that before. Brian McClelland is a personal trainer and head coach for Chicago Athletic Clubs' Triathlon Club.